No doubt, this is an impressive list in its own right, but the announcer could have expanded it to include: Part of the North America Diversity Council, board member of the Maternal Health and Child Consortium, co-founder of the Latino Luncheon Scholarship for West Chester and Immaculata Universities, and, as I can personally attest to, a dedicated SAP Volunteer Ambassador. 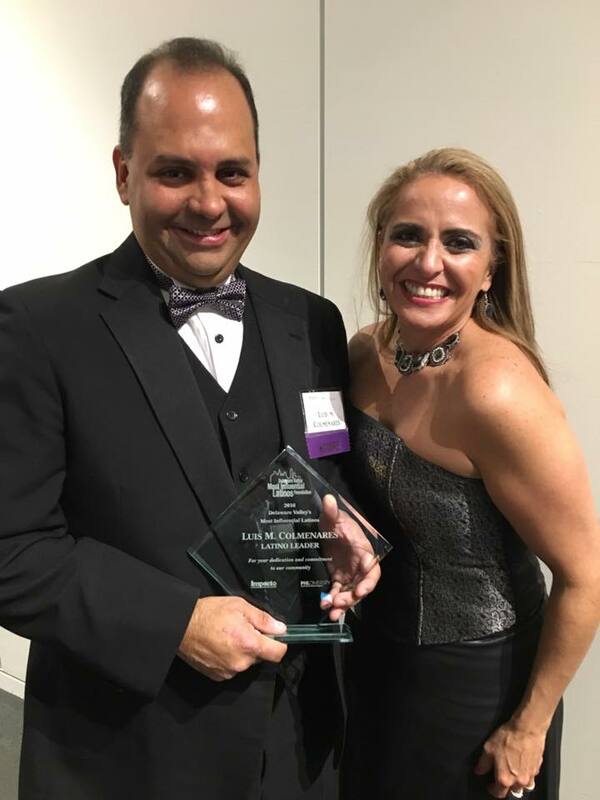 The award Luis was accepting, Delaware Valley’s Most Influential Latinos, is an 11-year-old distinction meant to highlight the great contributions of the Latino community to Philadelphia and the region. It is bestowed by The Most Influential Latinos Foundation, Impacto Latin Newspaper and PHLDiversity. Luis was recognized along with the likes of PA Secretary of State Pedro Cortes and New Jersey Senator Nilsa Cruz-Perez and will be featured with other honorees in the latest addition of the Impacto Latin Newspaper. Luis lived in Venezuela until 1999 and became a US citizen in 2008. He works as a Solution Architect at SAP America and is the first SAP employee to receive this distinction. I think I speak on behalf of all of SAP when we say that we couldn’t be prouder. Keep up the great work, Luis, and congratulations!